Very nice!! Not to big, not too small, not too heavy!! Love it!! 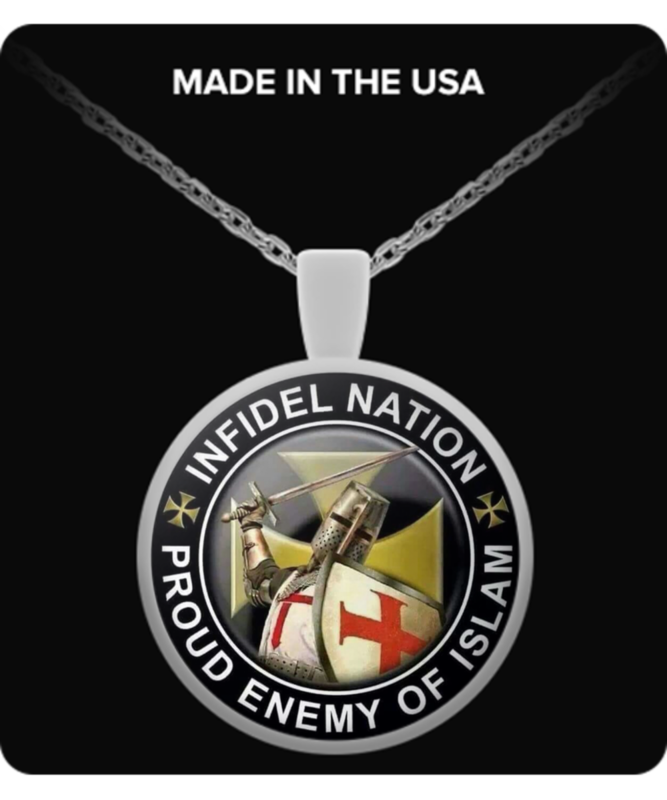 I really like my Infidel Nation necklace and I've received several positive comments about it. It makes a statement that I fully subscribe to. The only thing I don't like is the clasp. It could be a lot better. Absolutely perfect, exactly what i was hoping for! I really injoy it, I hung it on the rear view mirror of my truck, thanks!